There are a few basic requirements that need to be met before you can use your Google Home with your Wemo devices. 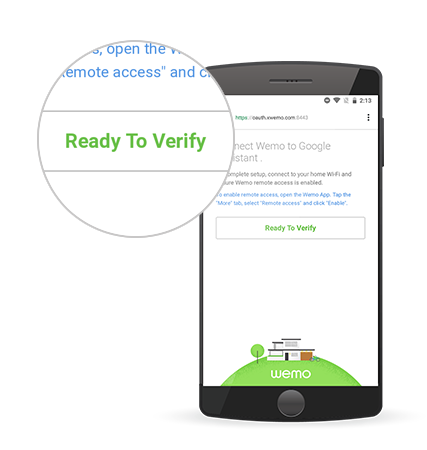 The linking process is pretty easy as long as you have Remote Access working for your Wemo devices and your Google Home Virtual Assistant is set up and working properly. 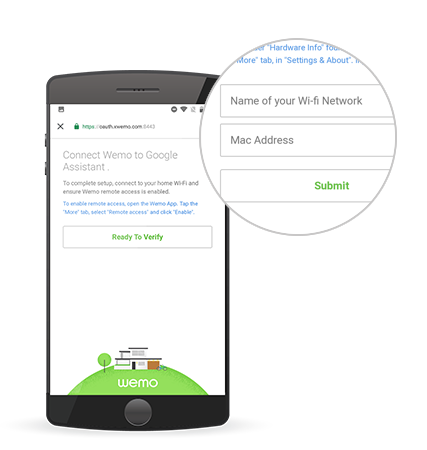 Step 1: Before linking to your Wemo Home Wi-Fi, you will need to have at least one Wemo device set up and working. Step 2: Set up your Google Home Virtual Assistant. Next, you will need to set up your Google Home device and ensure it is working. Click here for setup instructions. Once everything is set up, you can connect your Google Home Virtual Assistant with your Wemo Home Wi-Fi to begin controlling your Wemo devices with your voice. For the next steps, you will need to use your Google Home App. 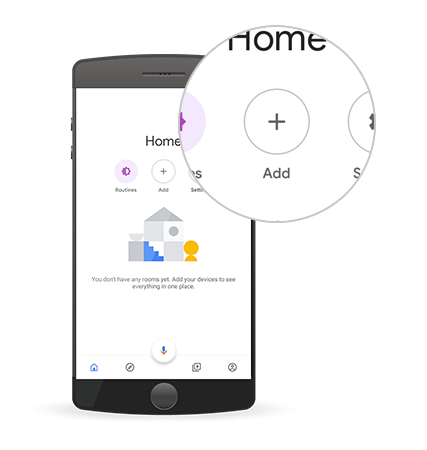 Step 1: Open your Google Home App and tap Add. Step 2: Tap on Set up device. Step 3: Choose Have something already set up?. 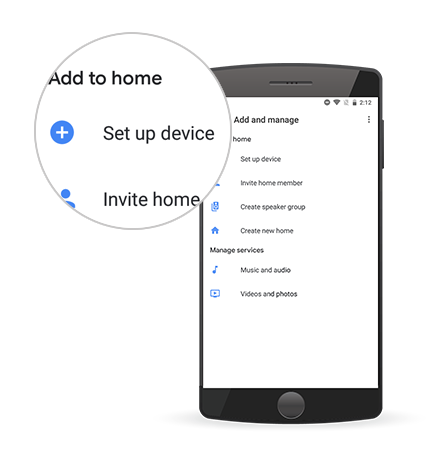 You will be taken to a list of available smart device partners that you can link with Google Home. 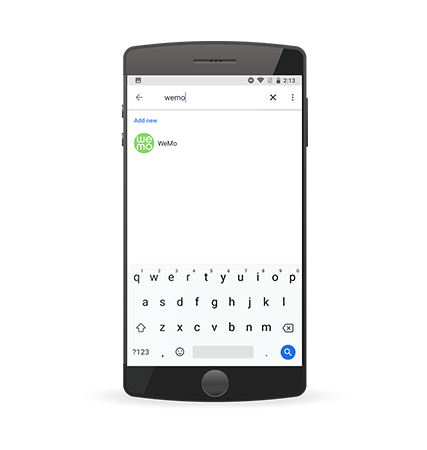 Search and choose WeMo from the list. Step 4: Now you are ready to connect your Wemo device to the Google Home Virtual Assistant. Tap on Ready To Verify to begin the process. Step 5: You will then be given 2 minutes to toggle one of your Wemo devices so that the Google Home App can locate it. 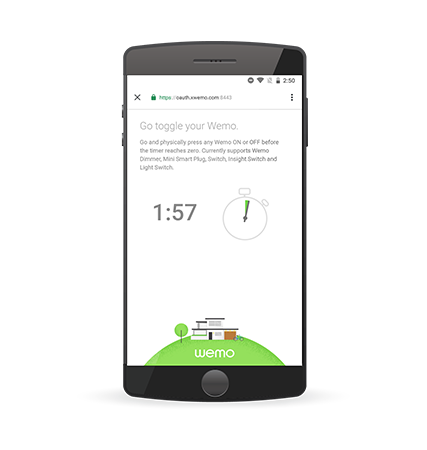 For Google Home to locate the device, press the power button of your Wemo device before the timer ends. 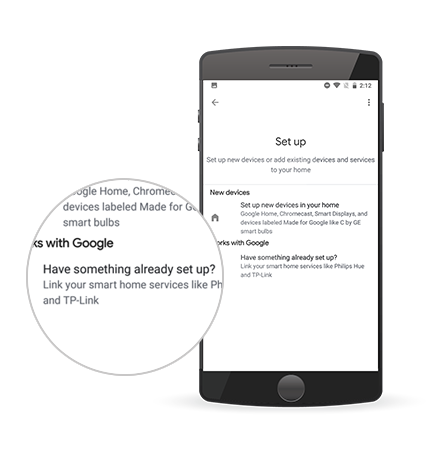 Step 6: When found, the Google Home App will let you know which Wemo device it detected and what it can do. If the detected device is correct, tap on Yes, that’s me. 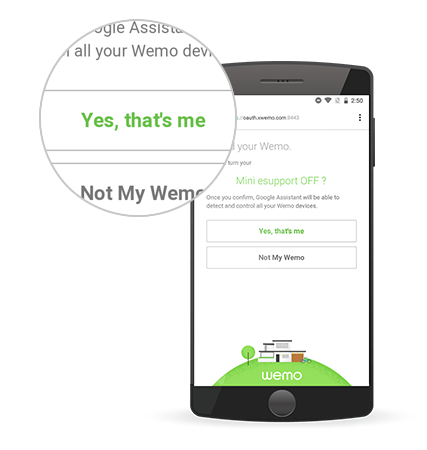 Step 7: Once linked, you will be shown a list of your supported Wemo devices. You can choose to assign rooms to these Wemo devices at this time or leave them unassigned. Tap ADD TO A ROOM to proceed. 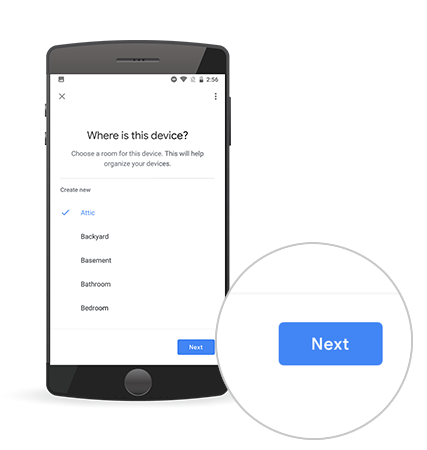 Step 8: Choose a room for this device then tap Next. 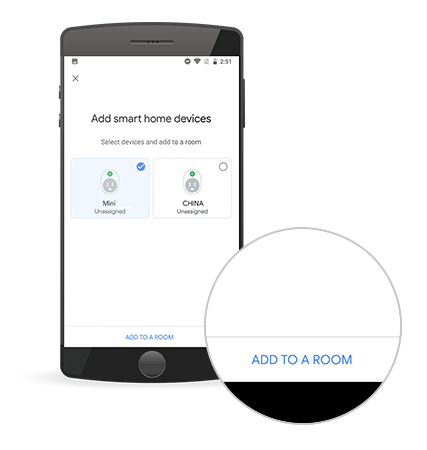 NOTE: If you have multiple Wemo devices linked to Google Home, you will have to select the location of each Wemo devices one by one. 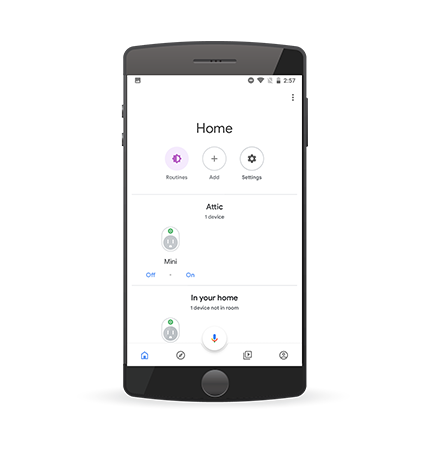 Once done, the Wemo devices including the Google Home will show up on the Home page of the Google Home App. NOTE: If the Google Home App does not detect the Wemo you toggled after a few minutes, it will let you know and ask if you need more time. 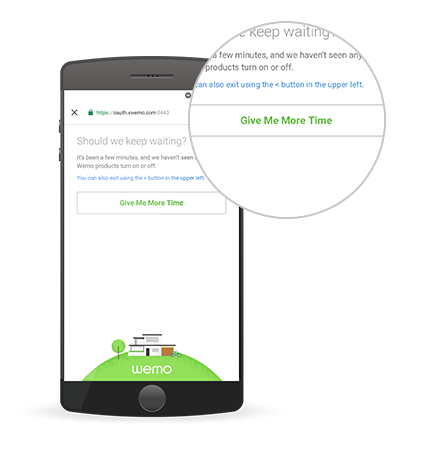 Tap on Give Me More Time to continue waiting and toggle the Wemo device again. You may need to toggle it more than once. If you asked for more time and it still isn’t finding it, you will need to enter in the Name of your Wi-fi Network and the Mac Address of one of your Wemo devices. You can find the MAC Address at the back of your Wemo device (or on the faceplate for the Wemo Light Switch) or through the Settings & About section of your Wemo App. Tap Submit once done. Confirm if your phone or tablet has remote access. If you are able to take your phone or tablet to a remote connection (a different Wi-Fi than your Wemo devices connect to or a cellular connection), switch to that and try controlling your Wemo devices. If you are able to control them remotely, then remote access is enabled for them. Try rebooting your router and modem. If none of these steps help, give our support team a call. For more information, click here. NOTE: Some ISP services like Google Fi has a VPN service that can prevent your Wemo from linking to the Google Home. In this particular case, Google VPN is blocking and preventing linking. This happens because the Wemo cloud compares the WAN IP address of the request with the WAN IP address of the Wemo device. Disable the VPN service to enable linking to Google Home.